This recipe can be found here. It is also located on page 57 of the July/August 2008 issue of Taste of Home Simple and Delicious. Cut the top fourth off the loaf of bread. Carefully hollow out the bottom, leaving a 1/2-in. shell. Cube the removed bread and set aside. In a microwave-safe bowl, combine cheese spread and cream cheese. Microwave, uncovered, on high for 2 minutes, stirring every 30 seconds. Stir in the beer. Microwave, uncovered, 20 seconds longer. Stir in bacon. 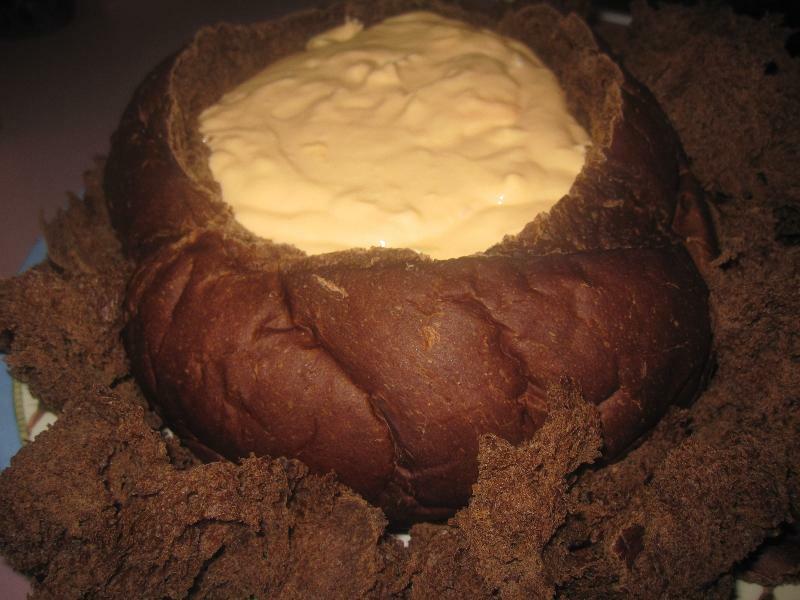 Fill bread shell with cheese dip. Serve with reserved bread cubes.